Then our cool Hinged Segment Ring made of silver-coloured steel is exactly the right thing for you! With this innovative click mechanism an easy handling is offered to you and you do not need to spent hours on trying to insert your segment ring or on searching the closure plug-in anymore – in case it fell out of your hands. 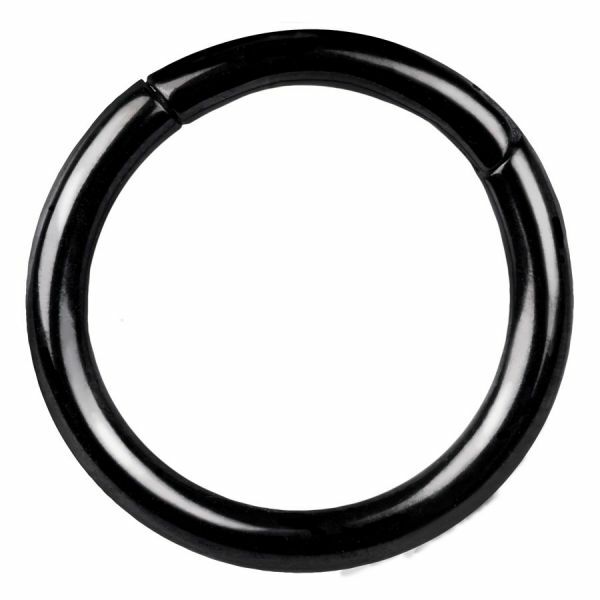 Due to the integrated hinge you can easily push the closure of the ring to the side, insert the piercing without difficulty, push back the closure and the piercing will sit tightly in place – all without the help of a forceps. easy to open and close, recommended if client wants to change his jewelry on his own.